We have had a busy weekend! We left for Gothenburg on Friday afternoon, and on Saturday we had the joy of attending a wonderful wedding on a friend's estate north of the city. 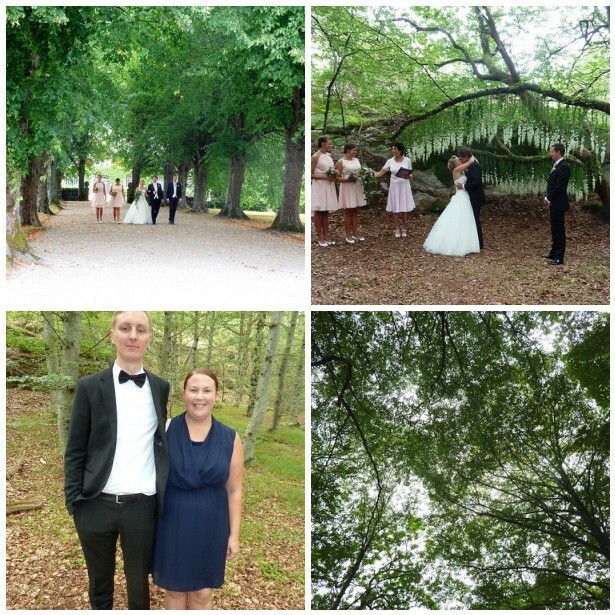 The beech forest was such a magical setting for a wedding - my pictures don't do it justice... Many congratulations to Jonas and Camilla! Ser fantastiskt ut! Och snygg klänning (din alltså, men säkert även brudens). Kram!